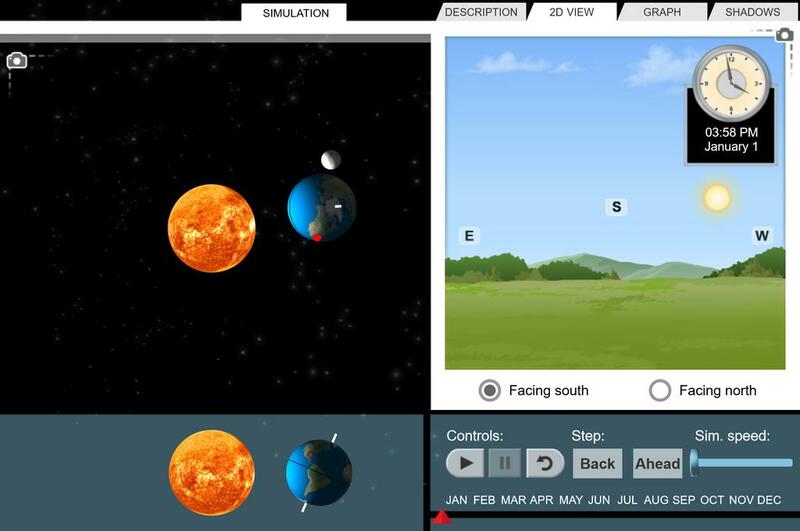 Gain an understanding of the causes of seasons by observing Earth as it orbits the Sun in three dimensions. Observe the path of the Sun across the sky on any date and from any location. Create graphs of solar intensity and day length, and use collected data to describe and explain seasonal changes. Autumnal Equinox 2013 was Sunday, September 22nd. This was a great Gizmo & Summer and Winter, Solar System, etc. for current Science event. provides the visual students need to comprehend the concept.